My kids call this Mexican meatballs. They love meatballs in general, but these they go nuts for. We love it with roast chilli potatoes, but my kids also love it with spaghetti. I add all the chilli in the recipe for my kids, as over the years bit by bit I've gotten them used to it (my 6 year finds nothing too spicy), but omit the seeds out of the sauce if you are worried your kids won't like it. 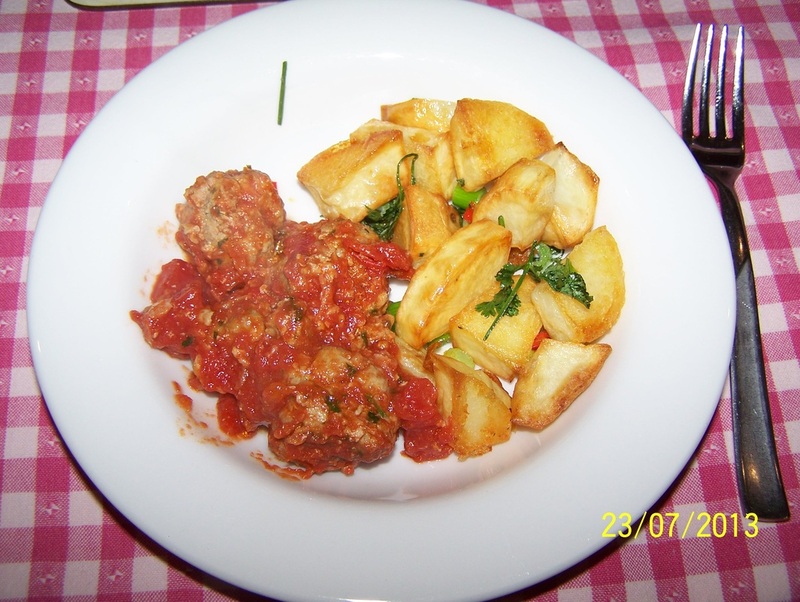 It is a different take on Italian style meatballs. Last night my daughter cooked this herself, it is that easy. Leftovers are always taken in for school lunch the next day. This a family favourite in our house. This is a great recipe if you have a mini food processor as I chop everything in it, for instance I don't grate the onion, just stick it in a mini food processor and blitz until finely chopped, close enough to grated. Breadcrumbs blitzed in seconds. I use only the white part. Next throw in the parsley and coriander, blitz-too easy. Chillies, blitz also. In a large mixing bowl add the mince, onion, breadcrumbs, parsley, coriander, egg, cumin, paprika, half of the chilli and plenty of salt and pepper. Mix with your hands to combine well (my daughter puts on gloves for this). When mixed well, form into small meatballs. Wetting your hands can make this easier. Toss the meatballs in the oil, in a roasting pan. Put the meatballs to bake for 10-15 minutes. In a large frying pan, put the tomatoes, remaining chilli and sugar. Season with salt and pepper. Bring slowly to the boil while the meatballs are baking, reduce heat to a simmer. 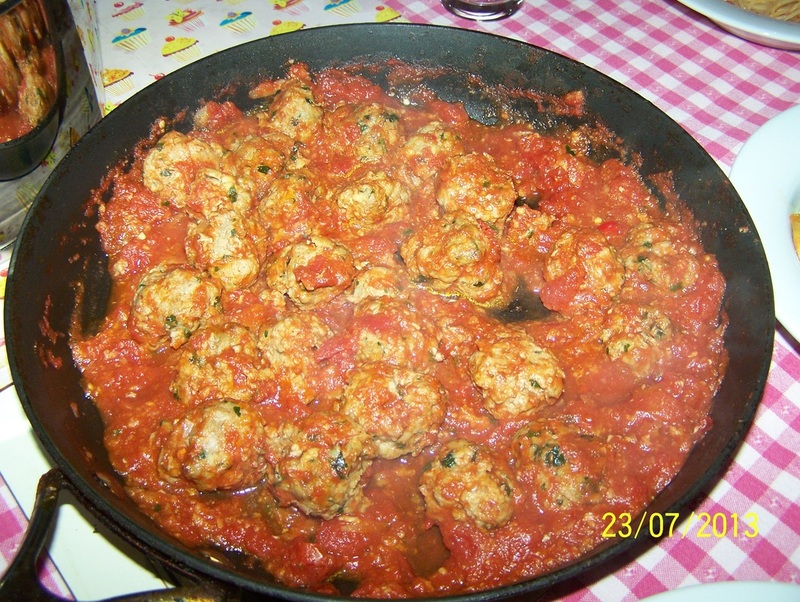 Add the meatballs to the tomato sauce and continue cooking for a further 20 minutes or until cooked through. Serve with Roast Chilli Potatoes or spaghetti as my kids like it also.